The original smart car burst onto the global market almost 20 years ago. The smart car was a revelation, a breath of fresh air that blew through the industry with a genuinely new idea that shifted the way that the driving public thought of small, subcompact cars and what they were capable of. The smart car was the brainchild of Swatch watches' CEO, who originated the idea of creating a small car using the customisation and manufacturer solutions that made Swatch watches popular. Eventually he formed a partnership with Mercedes-Benz to form a new company which would solely manufacturer the smart, or Swatch Mercedes Art, car. Over the last 20 years the smart car has cemented its position as one of the most recognisable, best-loved small cars in the world, with the original model, the fortwo, exceeding sales of 1.7m units across Europe, Asia, North and South America, Australia and Africa. Although there have been several different models released under the smart car marque, including the smart roadster and crossblade, there are currently only three models to choose from; the fortwo two-seater coupé, the fortwo cabrio convertible, and the four-seater forfour. Each of the three current smart car models comes in a variety of different trim levels. The different trim choices will give your smart car various cosmetic features, such as contrasting coloured materials, different dashboard inlays and alloy wheels of varying styles. Premium equipment lines are also included as an optional extra in some cases, and include parking assistance systems and an improved audio and media system. Below are each of the smart car models and the trim levels available for each. Although smart cars don't come with an electric engine as a matter of course, or with a specifically electric model like some manufacturers produce, each of the three current models is available with an electric engine. The electric drive option has been a feature of the smart range for over a decade now, and the most recent generation comes powered by a 17.6-kilowatt-hour lithium-ion battery pack which gives the humble smart car a range of 99 miles.It's no slouch either, as the smart electric drive engine will take the car from 0 to 60mph in just over 11 seconds. Each of the three smart car models can be purchased as a special BRABUS Xclusive variant, with modifications made by the famous tuning company. Your BRABUS Xclusive smart car comes with an array of extras including BRABUS branded bodywork, rear parking assistance sensors, a smart media system and BRABUS leather trim for the interior. 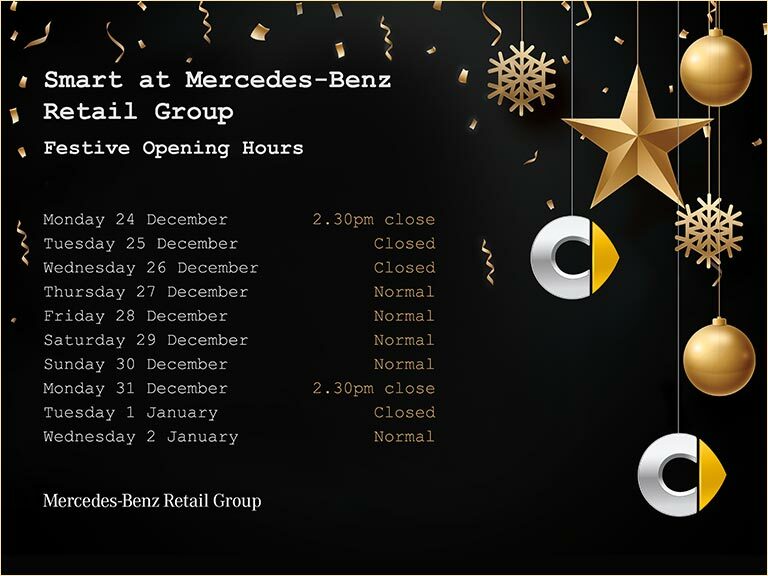 For more information about the smart car and the various models and trim options available, please contact your nearest Mercedes-Benz Retail Group dealership today.